In this article, we’ll teach you everything you need to know about Bounce Rates in Google Analytics and how you can reduce them. Don’t worry if you’ve never used Google Analytics before, there’s still plenty of great advice for you to implement in your campaigns. What is a Bounce Rate in Google Analytics? Bounce Rate in Google Analytics shows the percentage of visitors who enter your site and leave without making an interaction. A high bounce rate is not necessarily a bad thing if you are trying to build brand awareness, however, if you are trying to make conversions, then it can highlight some problems with your funnel. Bounce Rate shows how many customers leave without performing an action. If you’re an affiliate marketer, then you need people to perform actions, such as clicking links, in order for them to buy your product. Financial success is the product of engagement, not unique visits. Bounce rate enables you to accurately measure the quality of traffic coming to your site. If you are running an affiliate marketing campaign and have a landing page with a high bounce rate, it means that people are visiting it but not converting. If you can find out why they are leaving without making the desired action, then you can begin to optimise your site and improve your bounce and conversion rates. If you’re using a PPC platform such as Facebook Ads to drive traffic to your site, then a high bounce rate will tell you that there’s something wrong. If this is the case, it would be worth split-testing your audience profiles, to make sure that the people visiting your site are the ones who will be most likely to convert. However, poor traffic only makes up 50% of the potential problem. The other 50% could be on your site’s side. You could be getting really good quality traffic from visitors interested in buying your product, but they just don’t like your site. Therefore, it’s worth investing in a heat-map to show you where audience attention is focused and where you are losing visitors. To see your Bounce Rate in Google Analytics open up Google Analytics in a new window. Now that we know what bounce rate is and why it matters, it’s important to understand exactly how it works. To do this, let’s take a quick look at how Google describes it and go into a little more detail. As you can see, Google’s definition is a little bit complicated and they skim over a few points which require a bit more explanation. The first is ‘single-page session’. 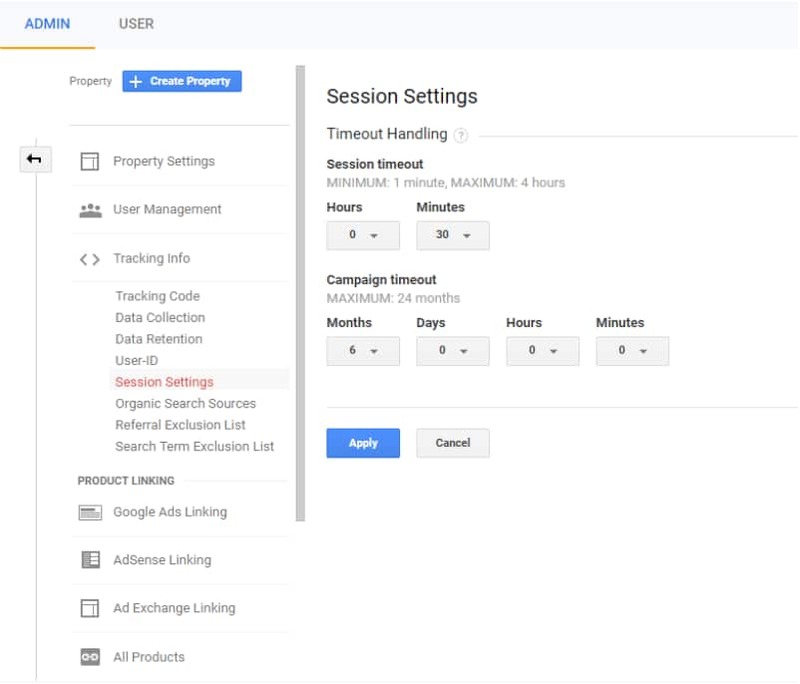 Google Analytics measures sessions using visitor hits within a certain time frame. Hits are any interactions a visitor makes with a page e.g. clicks, page views etc. The results of this are then sent to Google Analytic’s server. Active sessions usually include hits such as moving from one page to another within a site. Whereas single-page sessions mean that a person has visited just one page of your site and not gone any further. However, if you have actionable points on your page, such as a video, then visitors interacting with these will register as hits and therefore not a bounce. A bounce is therefore only registered when someone visits a single-page and leaves without triggering any further hits. It’s also possible to trigger a bounce if a person lands on your site and is then inactive for long enough that their session times out. It’s important to note that sessions can not last longer than 4 hours and returning visitors sessions will be recorded. This means that the number of sessions on your site will usually be larger than the number of unique visitors. 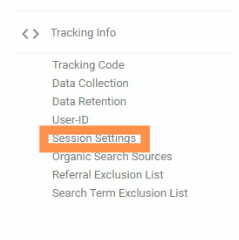 Google Analytics also starts new sessions at midnight, meaning that if a user visits your site at 11:59pm, after 1 minute, a new session will be triggered, meaning that one visitor crossing over midnight will register two sessions. If a user is idle for 30 minutes, then their session will timeout until they make another hit, at which point a new session will begin. Similarly, if a user navigates away from your page but comes back to yours using the back button, within 30 minutes, then their session will resume. This will open a new section to the right. All you need to do then is change the timeout session settings. It is automatically set to 30 minutes, but you can change it from anytime between 1 minute and 4 hours. When choosing how long to set the time out session to, you should take into account how long the average user spends on your site. For example, if you have a lot of text and very little to interact with, then it would be worth setting it a little higher. However, if you expect people to make a quick action, like clicking a link to another page, then you could set it lower. Alongside interaction times, the routes visitors take to get to your site can also make a difference. If a user found your site using Google, left and switched to Facebook where they clicked on another link which took them to your site, then they would have triggered two sessions. This is because Google Analytics takes into account the campaign sources which lead visitors to your site. Therefore 60% of the people who entered our site bounced, while 40% interacted with the site. It’s important to note that Google Analytic’s Bounce Rate calculation doesn’t take time into account in the way many people think it does. Time will only affect when sessions finish, so a person spending more time on your site reading, but not interacting, will not mean that they don’t bounce. This is why one way to counteract Bounce Rates where you have a lot of writing is to increase the session time. For example, if it takes someone one hour to read a page of your work and you have your session time set to 30 minutes, then they will bounce even though they have acted as you wanted them to. Whereas, if you had set the session time to 1 hour 30 mins then they would have had time to read your article and click onto the next page to read something else. In the second scenario, you would have a lower bounce rate and a more accurate record of how people are using your site. 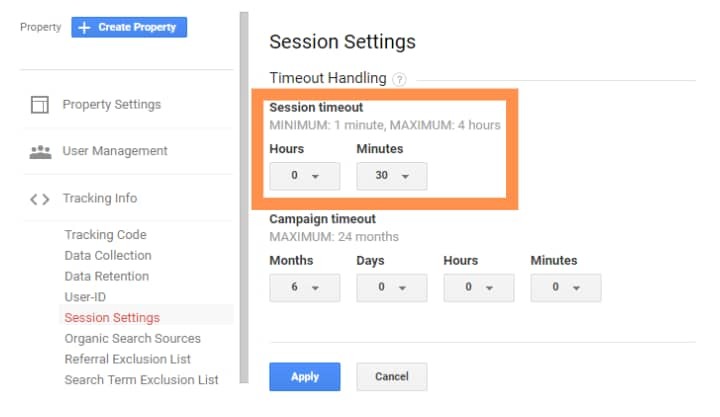 As we’ve already highlighted, changing the session timeout trigger can reduce your bounce rate, especially if you have a blog. However, there are a lot of factors which can be attributed to high bounce rates. Visitors couldn’t find what they were looking for: You should aim to keep your site as clear and easy to navigate as possible. If you are trying to drive people to your site with the promise of answers, then make sure you give them answers. If you can give them one piece of information they didn’t already know, quickly and effectively, then they are much more likely to stay and interact a bit. It’s also a good idea to highlight relevant topics and encourage people to dig a bit deeper using your site. Poor design: This one is quite similar to the previous point in that if you have too much going on it will be difficult for people to find their way around. However, it’s also worth bearing aesthetics in mind. I’ve visited sites which were simply too ugly to stay on or the writing completely illegible. The best way to go about designing your site is to follow the old Bauhaus mantra ‘Form Follows Function’. This means, quite simply, that you should ensure your site achieves its aims before worrying about jazzing it up. If people can’t see your CTAs then they aren’t going to click on them. Your content should be central, and everything else should aim to complement it. 1. Make sure your traffic is high-quality by focusing your keywords and cutting off low-quality sources. Let’s say we’re selling soap. They keyword ‘soap’ might be a little too broad unless your selling a wide range. 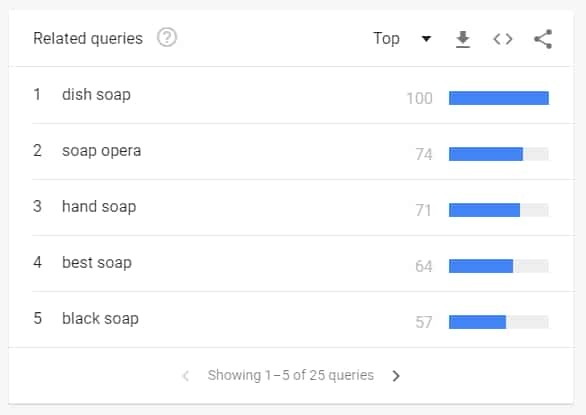 However, let’s say that we have one bar of luxury soap we want to sell and we want to know how we can better optimise our keywords so that we get more high-quality traffic coming to our soap site. 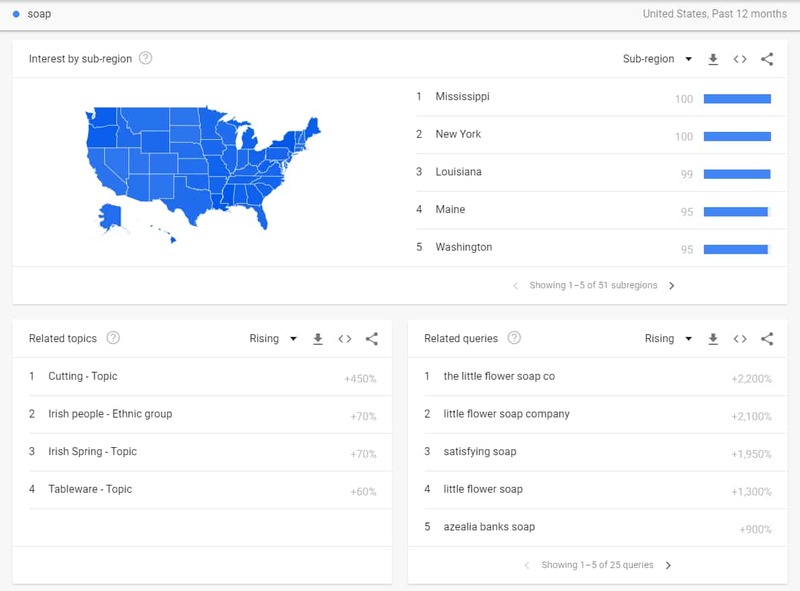 One thing we can do quickly is head over to Google Trends and see what comes up. We’re interested in the bottom right-hand section where it says related queries. 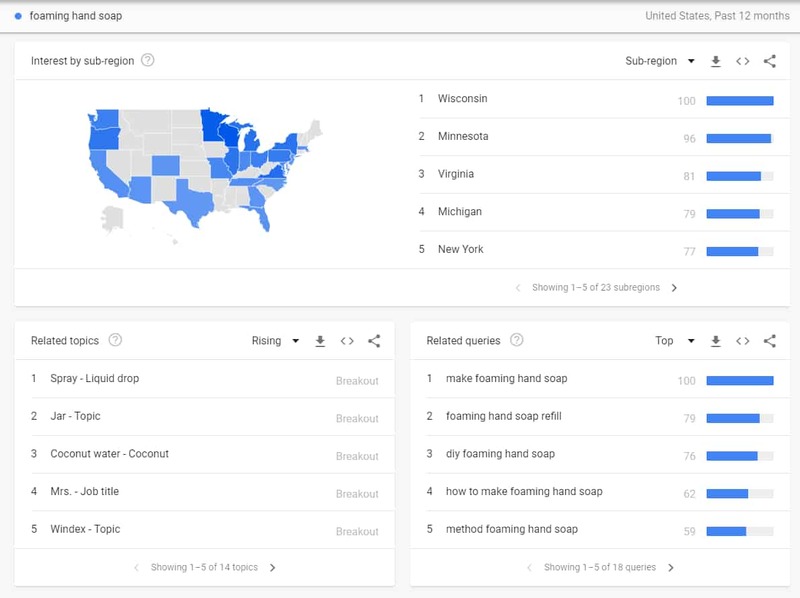 In it’s default mose, Google Trends shows you rising keywords, which can be a little misleading as any new company which starts using the name soap will start rising. Although this can be a good measure for the initial success of a business. However, for our purposes, we’ll swtich it from ‘Rising’ to ‘Top’. Now we have a list of keywords which are much more relevant to what we are selling. 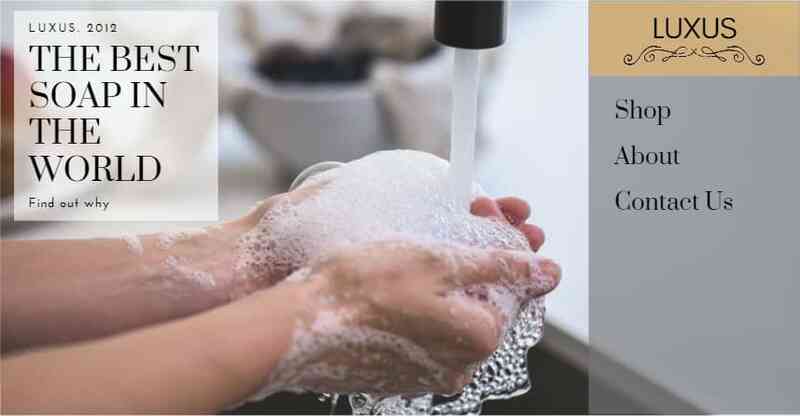 Now, let’s go with hand soap, it’s more specific and narrows down what our audience expects. If you click on it, it will take you to the keyword page and once again you’ll get the same options. We can therefore narrow it down even further. Just remember to switch ‘Rising’ to ‘Top’. Now we get ‘liquid hand soap’ and ‘foaming hand soap’. Foaming is more popular so let’s go with that. You’ll see now that the related options start to become a bit more obscure, so we’ve now been as specific as we can and still got a keyword which people are looking for. So, if the soap we are selling is a foaming hand soap, then we’ve got the perfect keyword to bid on. We can also target by region. In this case, we could aim our campaign at the top 5 states shown. This should give us much more focused traffic and subsequently reduce our bounce rate. Be careful though, it’s possible to be too specific in your campaigns, and if there’s only one person typing in your keyword, then you might get a low bounce rate, but you won’t get many visitors. Utilizing keywords and traffic effectively leads directly into the second way to reduce your bounce rate. For more information about Traffic Sources, check out our article on Paid Vs Organic Traffic: Which should you use and why? 2. Make sure your landing page is what people are looking for. If you have got a specific keyword and search term people are using to get to your site, then you really need to acknowledge that the minute they arrive. 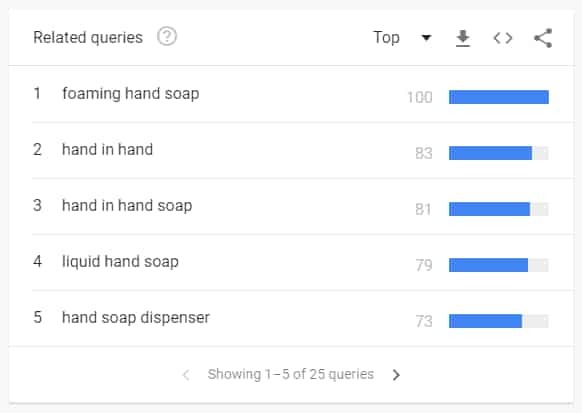 For example, if someone types ‘foaming hand soap’ into google and see your ad, then if they click the link, you’ll need to show them something relevant and keep them interested. You can do this by showing an image of the product making a claim and promising an answer. If people are getting to this stage and leaving, then you can start to play around a bit more. You should have a reduced bounce rate, but if it’s still high, then the CTAs may be to blame. It’s also a good idea to have more text and some additional content that users can engage with. This limits their options and hits the target audience with the fear factor and a little dose of patriotism. The underlying message being, ‘if you don’t buy Luxus, you don’t care about your family’. Of course, if you’re doing a whitehat campaign, you shouldn’t make unsubstantiated claims, but it goes to illustrate how you can target your landing pages more to the traffic you are driving to them. At this stage in the process, it might be a bit early to hit them with a buy now, so if that doesn’t work, then you could always change it to something like ‘Read More’, so that you add another stage to the funnel to prime potential customers even more. This leads us to the third tip. If you are not writing a blog and you simply want to shift as many units as you can then you need to present the information as easily and as quickly as you can. As we said before, you don’t want to give the customer too much freedom, but at the same time, you don’t want to give them too little. The balance you want is to give them just enough so that they think they are making their own choices, when in reality, you are guiding them every step of the way. It’s much easier to highlight this by showing you what not to do rather than vice versa. therefore , here a few things you should avoid if you want your customers to stay on track. Give visitors too many options on one page. Add content for content’s sake. If it doesn’t serve a purpose, it shouldn’t be there. Use too many colours/fonts/design elements. You need to keep your pages simple, clean and succinct. If you can avoid all of these pitfalls in your sales funnel, then you should be able to significantly reduce your bounce rate and filter improve your conversion rate. The best way to improve your bounce rate in Google Analytics is to ensure that you know who your visitors are and what they like. Once you know that, you can create a site that speaks to them and makes them engage. It will take time and optimization, but if you see your bounce rate going down then it’s a really good indication that you are heading in the right direction.